Thank you, Kevin, for your report to the members of the TRC who could not attend the meeting that night. (I had fully intended to come but was caught in those incredibly destructive storms that hit NW Van Buren Co.) It is important to keep TRC members and all Michiganders aware of and educated about the dangers of this newer high-tech fracking to our groundwater resources. 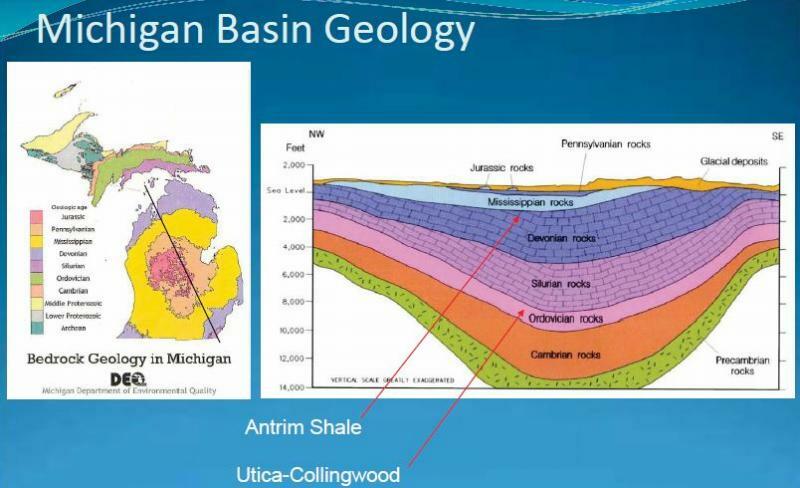 It seems like we've been here before with PBBs in the 70's, groundwater extraction by the bottled water industry in the 90's, and now fracking in the new century, to say nothing of the leaking of radioactive water to our Lake Michigan surface water. 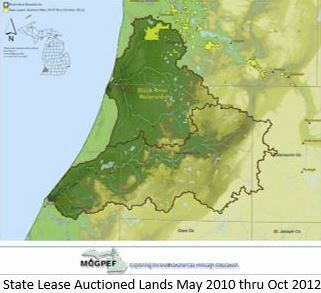 We, as advocates of environmental protection, need to remain objective, factual, and forever vigilant in reminding our politicians in Lansing that our water resources are our future; and the DEQ needs to be reminded constantly of why it exists...to protect the resources of this state. Best regards. I wonder...is this an opportunity to support wind and solar power? Because the whole supposed impetus for doing fracking is internalizing energy supplies to this country. If the people/politicians are truly concerned about finding relief from out-sourced international oil supplies (eg excuses for war), wouldn't we be choosing ALL the options for energy? Is this "need" for tar sand/fracking another lie, or a damned lie? Or is it a carrot and stick trick to keep us arguing as if there were no other choices? No other options for clean safe free energy? Hmmm, lies are one thing and subterfuge another. Which is this? As for the Forum. YEAH! The more information that shows up, in the media and elsewhere, the better. Great job to everyone involved. No illusions here about the fact that the reps of the industry are in it for the money. They'd tell you anything and lie about anything, and cya about everything. Most informative part of Kevin's article is the information that not only will the DEQ not protect the land...It CANNOT protect it as it has no funding, manpower, or mandate to do so. Who does that leave to do this caring work? Here's to choosing for the planet! Kevin, your response was so refreshing to read, as if done by a professional journalist/researcher. The corporate schill media copy boys & girls couldn't pose an unscripted thought anywhere close to answering the Who, What, When Where, Why, & How required for basic reporting on every story. Same energy enslavement with natural gas and oil. 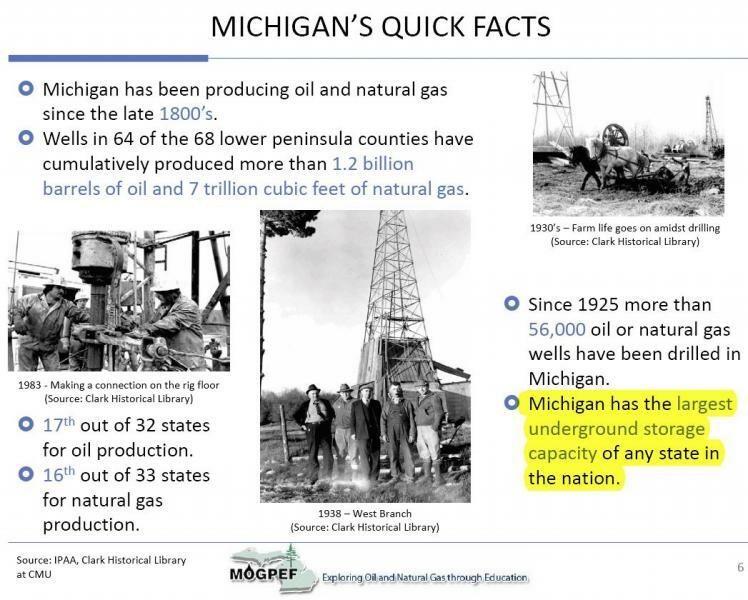 I grew up in Battle Creek and remember in the early '70s when a natural gas pocket was found that contained enough to supply the world for the next 200 years. I thought it was so wonderful that now grandma could afford her gas bill in the winter and the US didn't have to buy years ahead from Africa. Well her bill never went down. As Pastor Lindsey Williams stated in his book "Energy Non-Crisis" how 48 jet-engines are running turbines to pump the excess natural gas coming out of the largest Alaskan oil find back into the ground, they are not about to give us a break on money for energy. That's why GM allowed Exxon to shred it's electric cars, that's why our cars get mileage in the 'teens, and why the Bakken oil fields in ND are selling their oil to China and Russia under sweet government deals at less than a quarter of our costs for oil. The Bakken fields could supply the US & Canada for as long as the 21st century needed oil at little over production costs. Libyia was supplying it's citizens with $.17/gal gasoline, so that isn't much. After all it is our oil. If we have to pay "hidden royalty fees" to equal $5/gal, then we citizens should get a royalty subsidy check. Oil is generated by the great heat and pressures occurring to basic elements, one of the few known processes that combine molecules, instead of breaking them down. There have been great high-technology civilizations in Earth's past, but none ever considered bringing up a toxic poison and spreading it around the surface, in the air, in our food chain, wrapping our food and our bodies in it, capsulating it and calling it medicine, fertilizers, condemning natural alternatives and promoting a lifestyle that glorifies it! Energy is everywhere, just because you can't see it makes no diff. Figure out how the pyramids attune to it and we would be ready for the 21st century, leaving the oil legacy behind like blood-letting. Tesla did in 1930's. Figure out how how these Luciferians took over our country, then back them out, and we might have a future. Else, Lucifer will continue mocking God, The Creator, with our alliegiance to his confining and condemning technologies and enslaving usery. Amazing how the Rothschilds can accumulate more money than all the world's GDP combined and they have no national or humanitarian expenses, unless you count Isreal, their brainchild, the City of London their "Financial Heart of the Beast", or Washington, DC, their "International Muscle" and sucker taxpool. Maybe a DNA test for all Khazarian/Gomer/Cain lineage to stop them from their ruthless and all encompassing NWO rule and keep these self-appointed blue-blood royalties from ruling countries banks, courts, religions, and humanity. The Christian slaughter is self-evident when you ask what religious book was in the homes of the slaughtered. Long live the real children of Abraham - mostly Christian Palestinians by now. 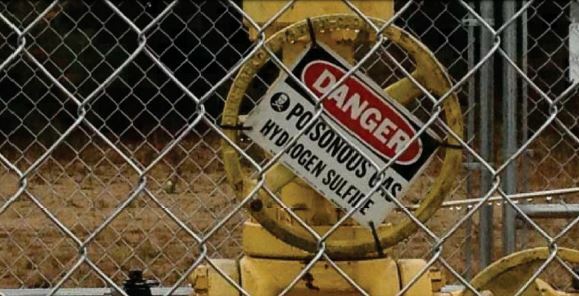 Fracking is simply about fracturing high-pressure gas and oil fields to contaminate aquafirs so the rural areas will have to be abandoned. Lucifer wants to destroy all God's natural support for life for humans. Thru Monsanto, he's replacing our food with poisonous proteins that never existed on earth before - unsustainable to human life. Animals know this, so are we so dumbed-down that we are dumber than a squirrel? Another very important point here is that as all this gas is burned thereby releasing all this "water" it is also releasing CO2. We should be putting our money and recourses in truly clean energy like solar and wind. The window of opportunity to mitigate climate disruption is closing fast. Ask yourself if it is safe to continue putting recourses in gas, oil, and coal with this knowledge.